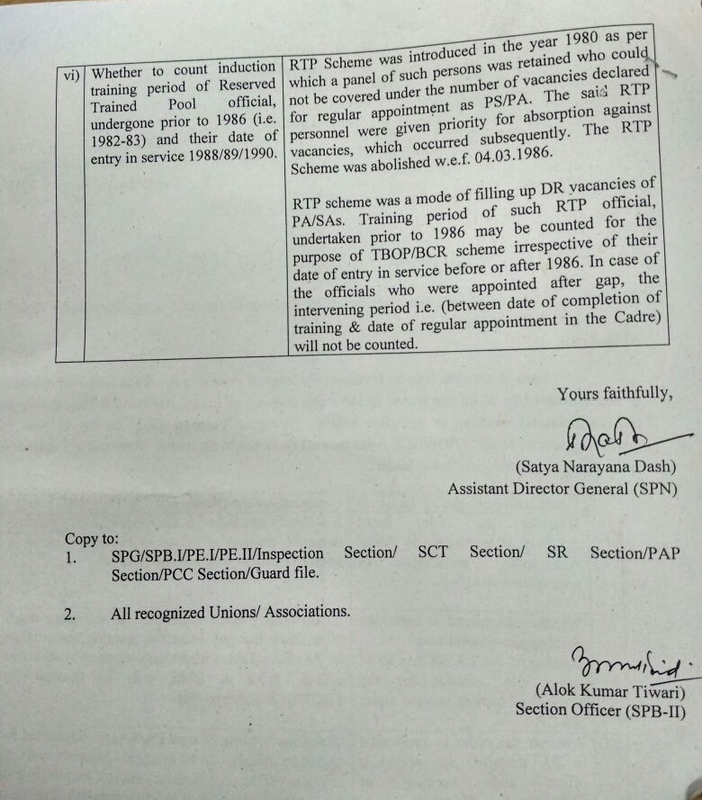 Workshop with representatives of Service Unions on sensitization of IPPB.CLICK THE ABOVE LINK TO READ. Worker rights in India:when actions fail words﻿Read more﻿. 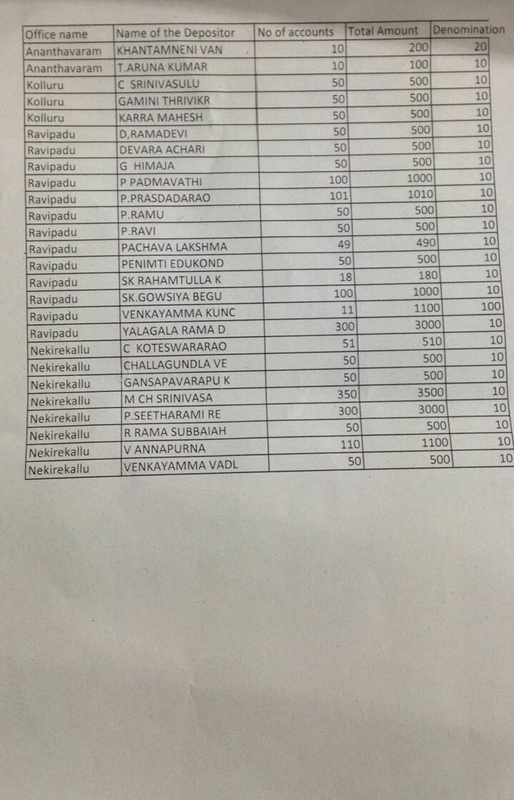 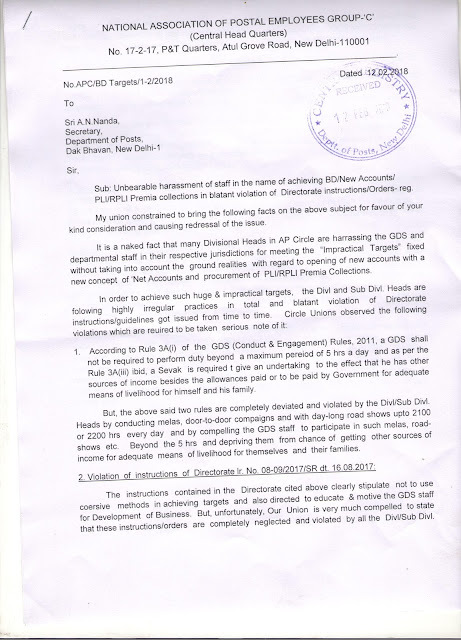 2)Grant of Fixed Medical Allowance to Central Government Civil Pensioners residing in areas not covered under Central Government Health SchemeRead more. 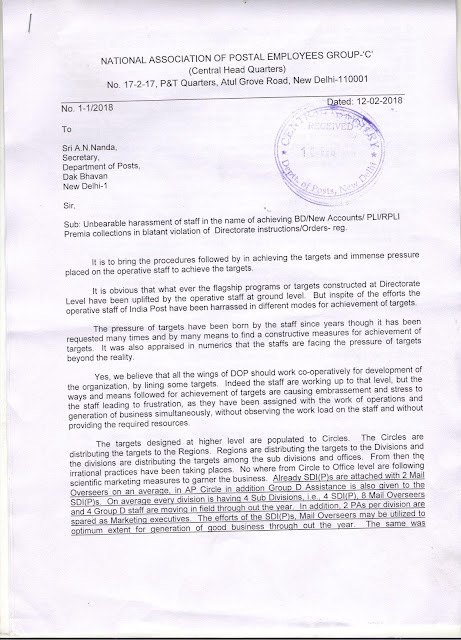 1)Verification of online applications submitted by DOP employees for the selection to IPPB on deputation for the post of Assistant Manager (Area operation) ﻿Read more. 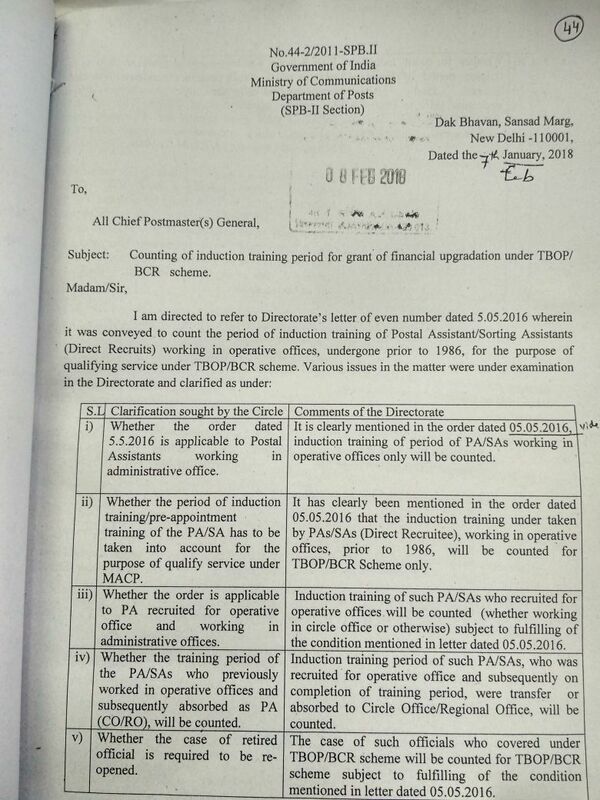 Counting of induction training period for grant of financial upgradation under TBOP/BCR Scheme : Department of Posts. 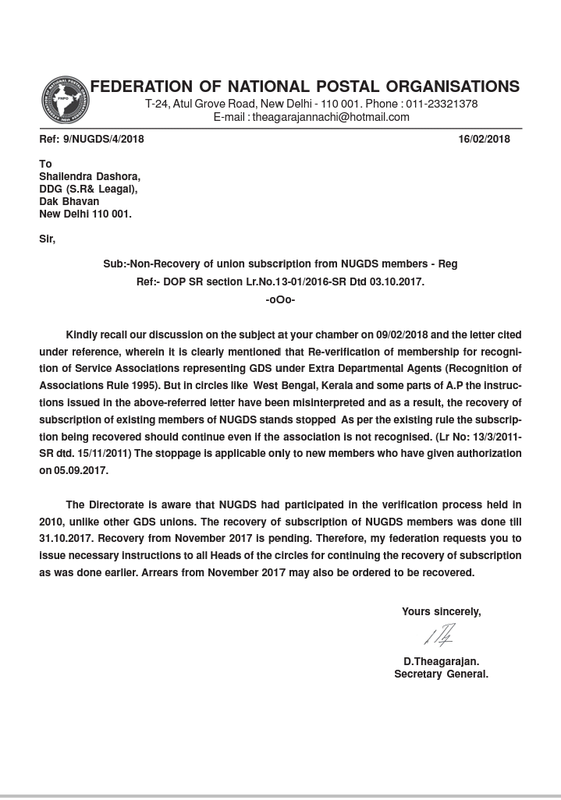 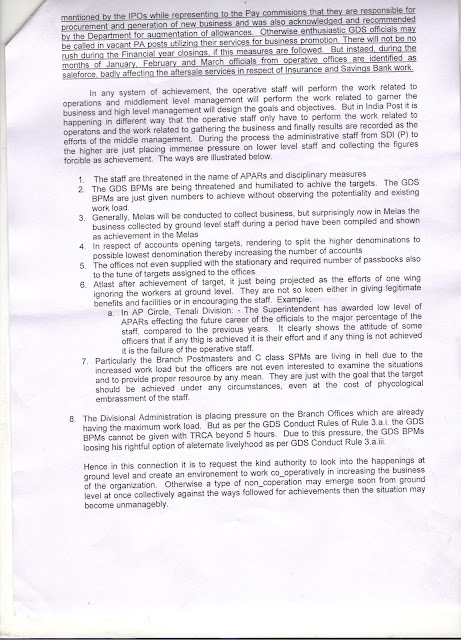 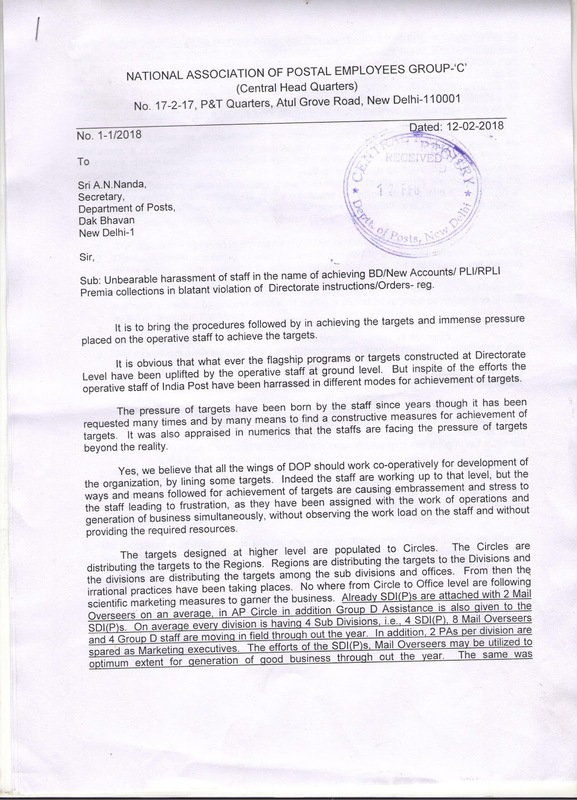 Unbearable harassment of staff in the name of achieving BD /New Accounts/RPLI/PLI premia collections in blatant violation of Directorate instructions/Orders - Reg : NAPE General Secretary Letters to Secretary , Department of Posts. 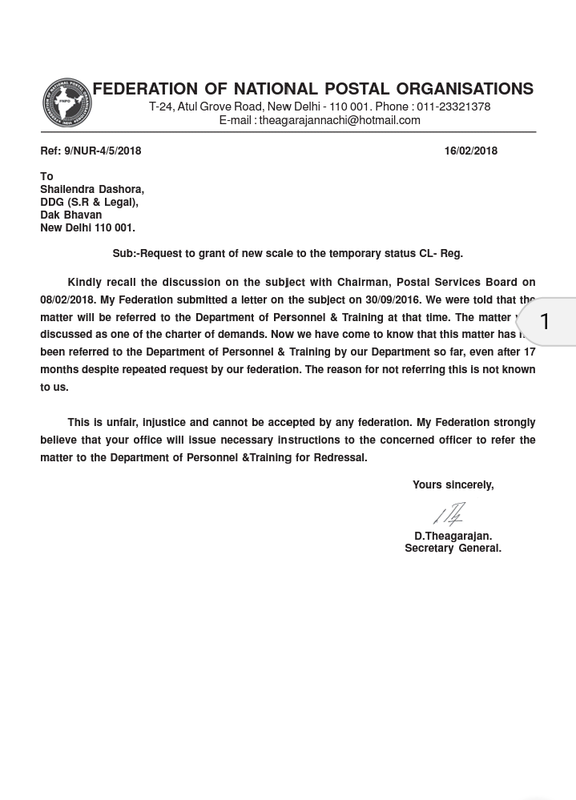 5)Central Civil Services (Leave Travel Concession) Rules, 1988 - Fulfilment of procedural requirements - Clarification : Department of Posts.﻿Click the above link to read. 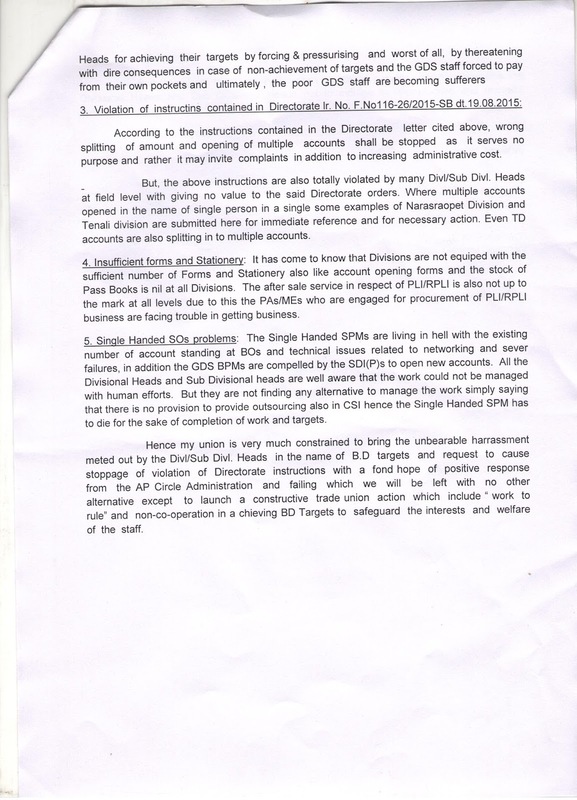 6)Migration of Home Loan to Revised HBA Read more. 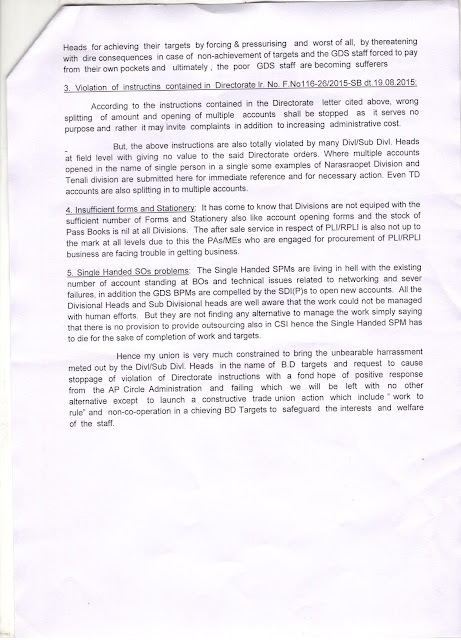 1)Migration of Home Loan to Revised HBA Read more. ﻿7)Outsourcing of jobs in Government Departments﻿ Readmore. 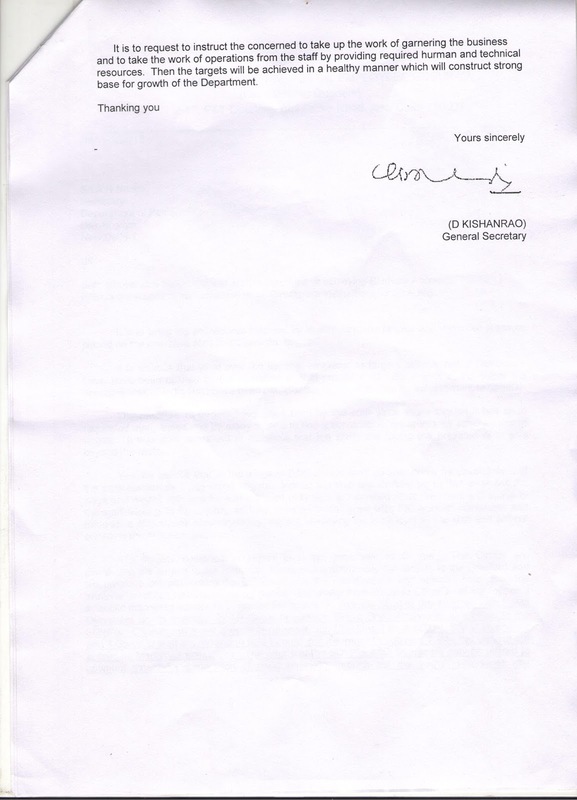 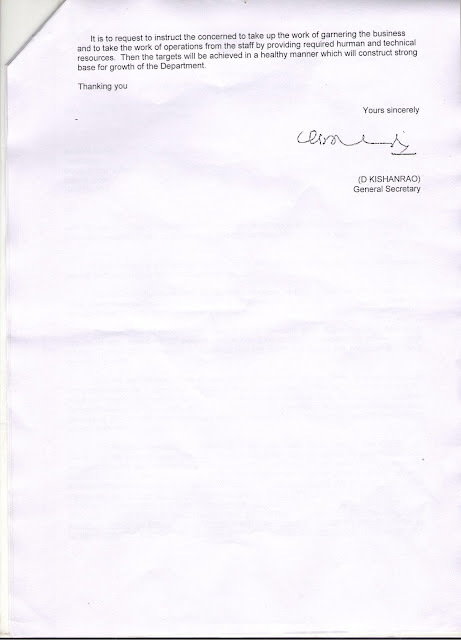 With reliable information it came to our notice GDS pay committee report has again been sent back to Department of Posts from Prime Minister Office.In this condition this particular issue could not be placed before the Cabinet. 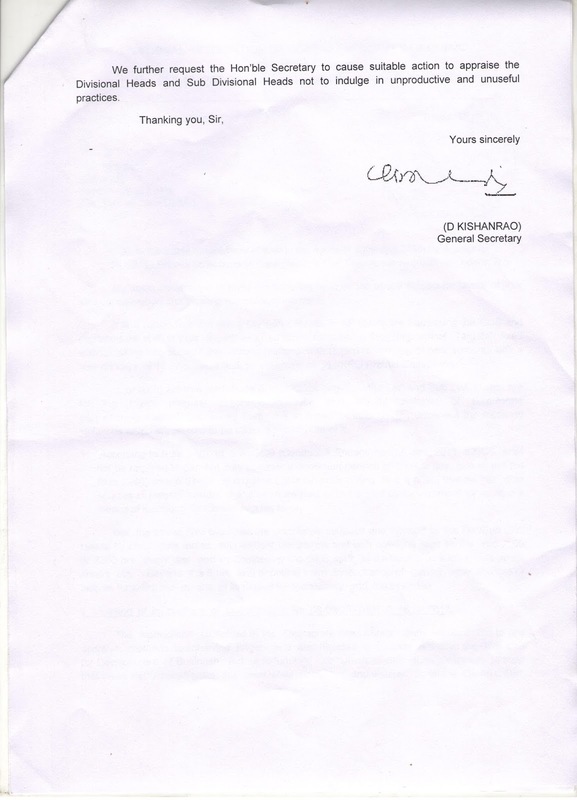 under what circumstances and what changes are required to the Office of the PMO did not known.After clear information we will let you know the reasons behind why the file has been sent back to Department of Posts. 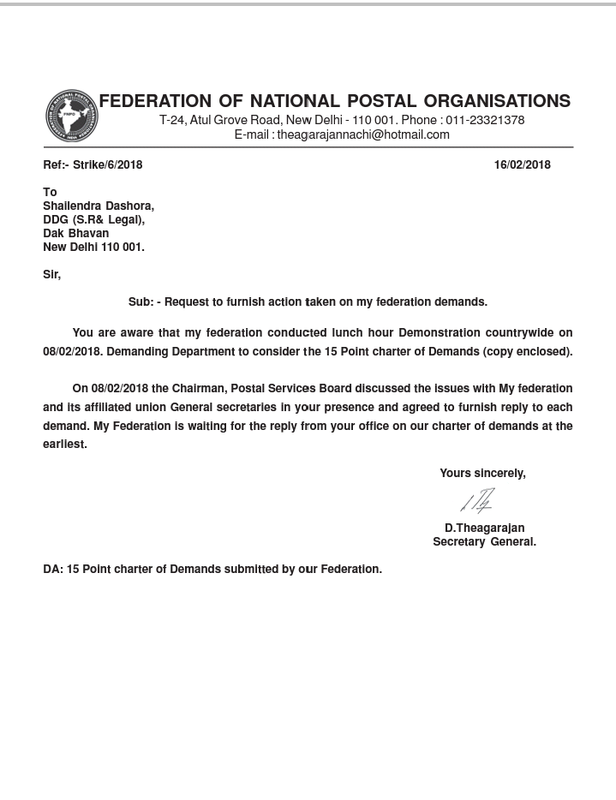 1)SG FNPO Appeal to all circle secretaries of affiliated unions to organise lunch hour demonstration in front all circle office across the country tomorrow (08.02.18) ﻿. Our charter of demands for lunch hour demonstration﻿ ﻿Read more.